Unless it does more, the United States probably will fall short of goals set under last year's Paris agreement to dramatically reduce emissions of heat-trapping gases, according to a new study. The U.S. pledged to reduce its greenhouse gas emissions in 2025 by 26 to 28 percent below 2005 levels. But taking into account current efforts by state and local governments, the nation will only reach about four-fifths of that goal, according to a study in Monday's Nature Climate Change. Looking at all types of greenhouse gases from energy and other sources— carbon dioxide, methane, nitrous oxide, and various fluorocarbons— two scientists at the U.S. Department of Energy's Lawrence Berkeley National Lab figure the U.S. will have to cut about 1,660 million tons of annual emissions. But current, proposed and even less concrete policies would only reduce about 1,330 million tons, leaving a gap around 330 million tons, they calculated. "We can't get there with our current set of policies," said study lead author Jeffrey Greenblatt, a senior scientist at the national lab. "We would fall short of the target if there is no further action." That doesn't mean that the U.S. can't reach its goal, it's just it has to do more and it can, Greenblatt said. 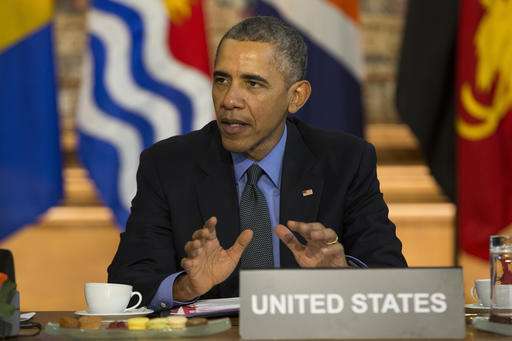 He said he was optimistic that with more action the U.S. could come close to the 26 percent goal, if not achieve it. 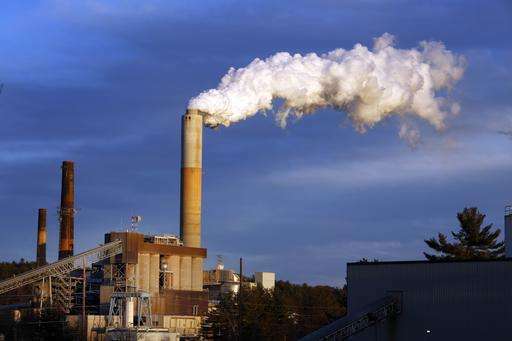 The biggest reduction that Greenblatt and his colleague Max Wei calculate would come from the Obama administration's clean power plan that would cut carbon pollution from power plants, mostly coal. But that plan is on hold in the courts. If it doesn't go into effect, it will be even harder for the U.S. to reach its Paris goal, Greenblatt said. It's also a policy that Republicans, including Donald Trump, have vowed to repeal if they win. Greenblatt and Wei have counted on gains from that policy, but it's still not enough. "I think it's going to be a variety of smallish efforts to get there," Greenblatt said. By looking at sectors besides energy, and at all greenhouse gases—not just carbon dioxide, which has fallen dramatically because of a switch from coal power to natural gas for electricity, mostly because of lower gas prices—Greenblatt's reaches conclusions that are less optimistic than some advanced by others. Six outside experts said the study's conclusions are both correct and not surprising. "The U.S., states and cities will need to adopt more ambitious policies and soon to be able to fulfill our commitment under the Paris agreement," Sterman wrote in an email. But he said what is even more important is that the Paris deal "is not strong enough." "To avoid the worst consequences of climate change, the U.S. and an all nations must cut emissions sooner and by more than called for under the Paris agreement," Sterman wrote. "There's simply no time to lose." Nigel Purvis, a top environmental diplomat in the Bill Clinton and George W. Bush administrations and president of the non-governmental organization Climate Advisers , said that's why the U.S. goals are ambitious: "We didn't know how to get to the moon when JFK declared the moonshot but we worked hard, innovated and succeeded. The next administration will need to do the same to make sure the United States meets its climate goals." An article on climate change with a picture of Obama on it is up for hours and none of the usual denier 'suspects' have commented yet? Is the squad snoozing before a hard night of skewing discussions and obfuscating facts as the first of the presidential debates occurs tonight? Or is it much simpler, and the power is out in some suburban Mom's basement?